The loophole gives you free Wi-Fi in your hotel room, which is a great way to save on travel expenses. HotelChatter.com, a website that keeps tabs on hotel pricing, averaged the price of Wi-Fi usage per room at almost $14 per day. Fourteen dollars may sound reasonable if your stay is only one night, but turn the trip into a five nighter and you just dropped $70 for Wi-Fi service. This sets up our loophole, you can buy and use a quality wireless router for under $70. 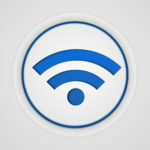 BYOR (bring your own router) works in any hotel room that has free internet access available through an ethernet port. Although, always remember this safety tip, an internet connection can be like a hotel room bedspread, you may want to think twice before instinctively hopping on. We highly recommend the router is configured before plugging in for maximum protection. Other safety measures, like using WPA security instead of WEP, and choosing a complex password, will keep the people from the room next to you, above you, and below you, from accessing your data. And when configuring your router, remember that network security is our forte at Quikteks and we would be happy to look over your router before your trip. 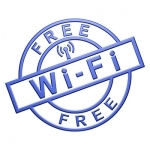 If you lack the luggage space to bring a router and you own a smartphone, you have an even easier option to get free Wi-Fi in your hotel room. This loophole is called tethering and involves hooking up your smartphone to your laptop and using the phone as a router. This is extra safe because you own the internet connection. Tethering is not without a few drawbacks, phone connection speeds determine internet speed, and phone data is usually capped, so remember to check how much data you have left in your plan, before you leave the router at home and hop on a plan. 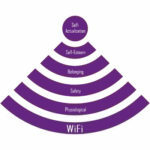 There is a positive trend developing in the hotel industry, in the spirit of competition, more and more hotels are giving away Wi-Fi. 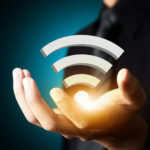 Other hotels are shifting to a tiered pricing plan for different speeds of Wi-Fi, and if privacy is not an issue, you can find free Wi-Fi in most lobbies. It is a good travel practice to find out ahead of time if your hotel charges for Wi-Fi to avoid any expensive surprises you may encounter. Have a big trip on the agenda? Call us at PHONENUMBER to check your router, laptop, and other devices; we can make sure your trip is productive and enhance the security of your electronic travel companion.